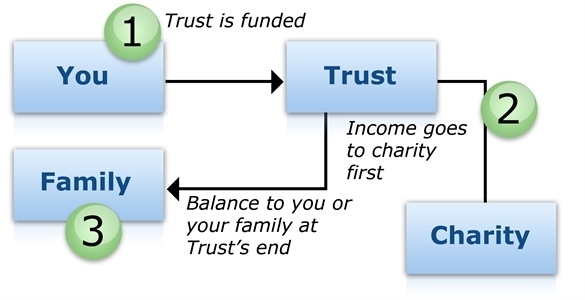 Example: John, who often donates to charity, creates and funds a $2 million charitable lead trust. The trust provides for fixed annual payments of $100,000 (or 5% of the initial $2 million value) to ABC Charity for 20 years. 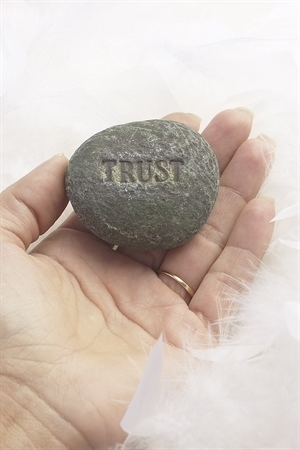 At the end of the 20-year period, the entire trust principal will go outright to John's children. Using IRS tables and assuming a 2.0% Section 7520 rate, the charity's lead interest is valued at $1,635,140, and the remainder interest is valued at $364,860. Assuming the trust assets appreciate in value, John's children will receive any amount in excess of the remainder interest ($364,860) unreduced by estate taxes. 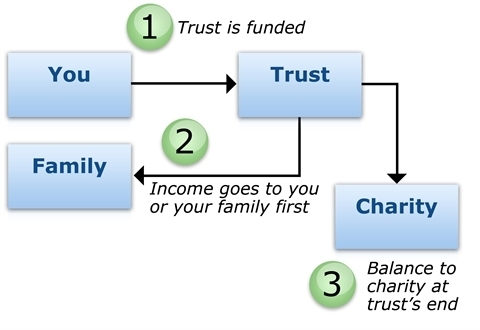 Example: Jane, an 80-year-old widow, creates and funds a charitable remainder trust with real estate currently valued at $1 million, and with a cost basis of $250,000. The trust provides that fixed quarterly payments be paid to her for 20 years. At the end of that period, the entire trust principal will go outright to her husband's alma mater. Using IRS tables and assuming a 2.0% Section 7520 rate, Jane receives $50,000 each year, avoids capital gains tax on $750,000, and receives an immediate income tax charitable deduction of $176,298, which can be carried forward for five years. Further, Jane has removed $1 million, plus any future appreciation, from her gross estate. Similar in some respects to a private foundation, a donor-advised fund offers an easier way for you to make a significant gift to charity over a long period of time. A donor-advised fund actually refers to an account that is held within a charitable organization. 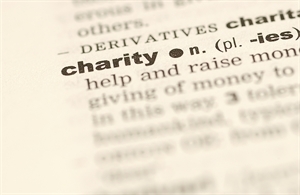 The charitable organization is a separate legal entity, but your account is not--it is merely a component of the charitable organization that holds the account. Once you transfer assets to the account, the charitable organization becomes the legal owner of the assets and has ultimate control over them. You can only advise--not direct--the charitable organization on how your contributions will be distributed to other charities.